Most individuals think of themselves as good communicators. Yet one of the top complaints couples make is the lack of good communication in their relationship. I survey participants when I do workshops on communication. I ask: raise your hand if you think you are good at communicating. Almost everyone raises their hand. Then I ask: raise your hand if people you know are good at communicating. Less than half of the hands in the room get raised. I point out this discrepancy and suggest the possibility that perhaps we’re not as good at communicating as we think. The truth is everyone can benefit from learning more about effective communication. Let’s go over 3 common communication mistakes couples make and what to do instead. Plus, the information applies outside of relationships as well so you get a double whammy! Imagine the following scenario between a couple that has been struggling in their marriage. Susan’s upset because she feels her husband Matt hasn’t been contributing enough in the parenting department. Her frustration has been mounting. Matt tells her last minute at breakfast that he has a late meeting and won’t be able to pick up their kids at daycare. 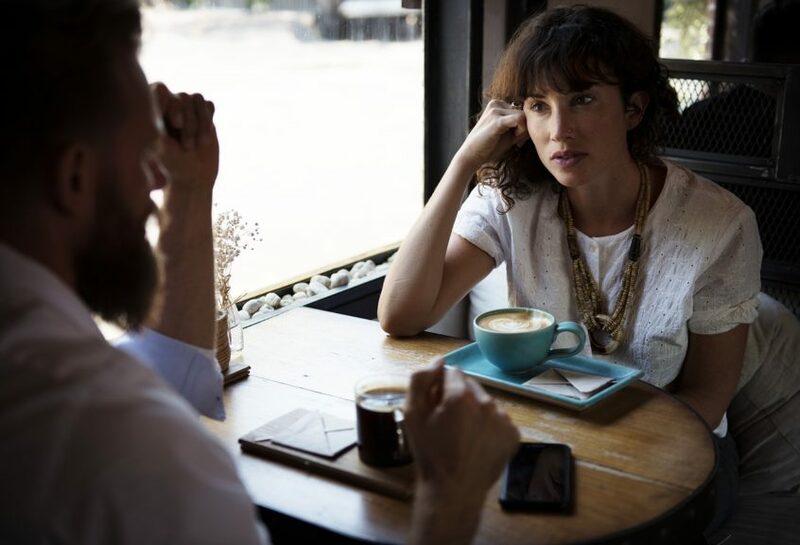 Aside from the obvious observation that communication is highly ineffective when emotional deregulation occurs, here are three other communication mistakes followed by suggestions of what could be done instead. The best way to make a person defensive is to point a figure at them by using the word “YOU”. Even when a situation is not particularly emotional, using the word “YOU” has an accusatory sound to it. Plus, making “YOU” statements avoids owing what’s going on inside ourselves. It’s unlikely that change will occur when it’s unclear what is specifically being asked for. Ineffective communication uses words without actually addressing or asking for anything. It might be obvious that the person is upset but what is not obvious is what they specifically want and what would make things better. “What goal?” you might ask. This is my point. Anytime we communicate, we’re more successful when we identify and have a goal. This can help us remove negative emotions and stay focused. A goal becomes the common ground where two people meet and join together for a positive outcome. Let’s go back to our relationship example and make some corrections. Look for “I” statements, specific requests and alignment with a goal. Susan takes a deep breath and pauses. When she speaks, she says: I am frustrated and have been needing to talk about this for a while. I feel like I do over 90% of the parenting and I’m not okay with that amount. I will juggle my schedule today but I need you to pick up dinner on your way home. And in the future, remember to tell me the night before if you can’t get the kids. I want a partner and need your help. Compare and contrast the two responses. What do you notice? If you think you might need even more help in this area, a great book that I frequently recommend for healthy relationships is Saying What’s Real: 7 Keys to Authentic Communication and Relationship Success by Susan Campbell. My little brother stumbled across it years ago. It contains sentence stems (ex: Hearing you say that, I feel…) that can help improve your ability to communicate effectively. Consider taking the time to learn new communication tools and to correct simple mistakes you previously were unaware of. You now have 3 new tools to make you a better communicator. And yes, this will take practice but isn’t your relationship worth it?